It is that time of year when I need to pick a diary for 2012. My current one is the Astro Diary 2011 and I've been very pleased with it. 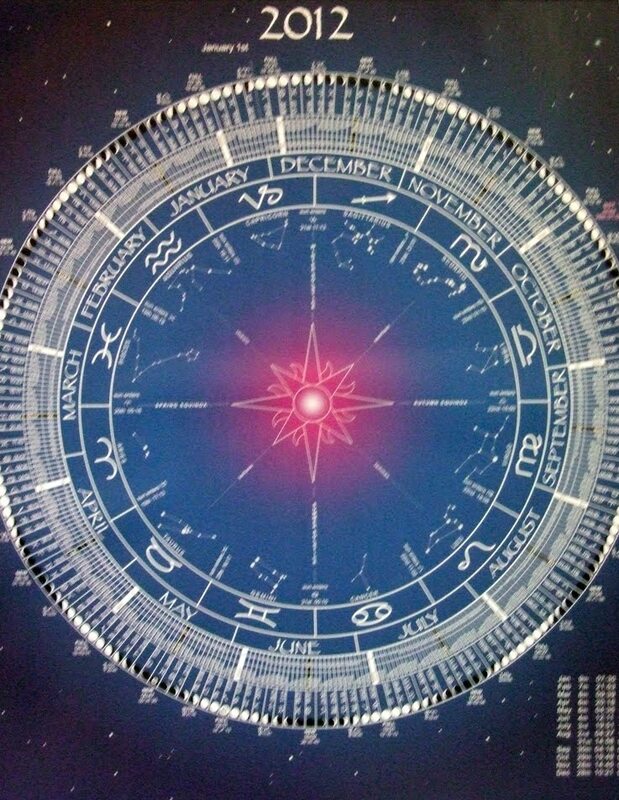 As well as being a good size for entering appointments and the like, it gives details of daily planetary movements and moon phases. The introduction provides explanations of astrological terms and their meanings, combined with a forecast for the year and features on gardening according to the phases of the moon and pagan festivals. 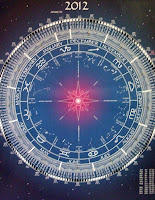 The Astro Diary 2012 looks even better - it has colour artwork and higher quality paper. 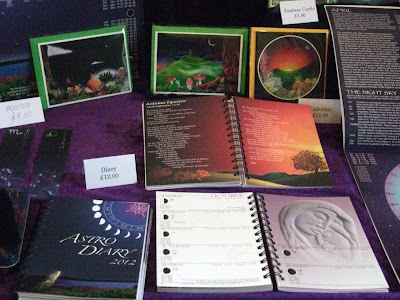 I nearly bought it when I saw it on publisher Astrocal's stall at the PF 40th Conference (pictured above), along with an Astrology Calendar 2012, which shows moon phases, and a lunar phase poster (pictured right). But I do like to ring the changes. 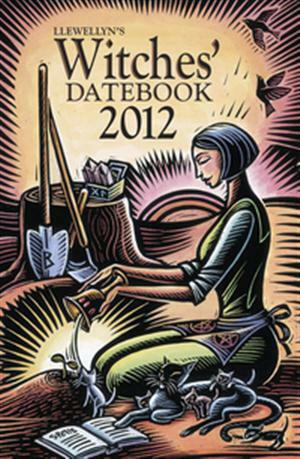 There are a few good pagan diaries around for 2012 and I'm still a bid undecided which to go for. Mind, body, spirit publisher Llewellyn does a nice diary called Llewellyn's 2012 Witches' Datebook, which includes dates for pagan festivals and seasonal spells, as well as a 2012 Witches' Calendar. I'm also attracted to the Earth Pathways Diary 2012, published by Moonshares Co-operative, because it has really gorgeous artwork. It isn't specifically pagan, but is aimed at anyone who loves the Earth including environmentalists, artists, writers and those following a nature-based spiritual path. 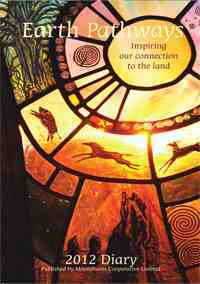 The company that produces the Earth Pathways Diary is a co-operative that is based in the UK and is formed of artists and creative people who love the land, which is also good to know. I probably need to decide quite soon which diary to buy myself for 2012. I'm already starting to get some exciting invitations for things to do and people to see in the coming year and if I don't write them down in a sensible place I'm likely to forget them. I also had a time choosing one. I bought the Witches Datebook because I love their calenders and the datebook has all the same info. I also added extra information myself from Llewellyn's 2012 Spell a Day book. Things like daily colors and scents, and also what type of spell the day is good for. I couldn't find another journal/datebook that had everything I wanted so I just fixed up the best one I could find. Now I'm all set for 2012!